Victoria University seeks to reposition itself as the “university of opportunity” as it cuts 300 jobs – 13% of its workforce- in an effort to cut costs by $50 million by 2016. The university’s vice-chancellor Peter Dawkins said about 200 professional staff and 100 academic staff would be cut. 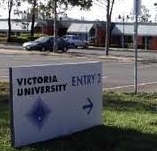 VU has struggled since student places were uncapped in 2012 and its traditional Western Melbourne student cohort were offered places at the more prestigious institutions, such as Melbourne and RMIT. Dawkins says the university needs to brace itself for further competition, with the federal government looking likely to deregulate the higher education sector and allow private colleges to access government subsidies for undergraduate students. The university council has endorsed a “refreshed strategic plan”, designating itself as the “university of opportunity”, so as to better position it for the “new competitive tertiary marketplace”. A key part of the strategy is to create what are being dubbed “career start” degrees in business, sports management and health sciences that build in extra teaching support for the pool of lower-ATAR students or second language students that VU is increasingly offering places to. At the same time it is seeking to attract stronger academic students into “flagship” courses in finance, science, psychology and bioscience. It is also want to make it easier for students to transfer credit between different qualifications such as diplomas and degrees. A plan to become Australia’s sports university is a “major confirmation” of the university’s direction, Dawkins said. We are convinced that we are already on the right track, having the largest number of students enrolled in sports-related higher education courses in Australia and having a strong focus on industry partnerships and work-integrated learning in our critical industry sectors. Dawkins said the university is aiming for a “sustainable future” through a range of measures, including minimising red tape and reducing staff numbers. He said the university needed to find $40 million to $50 million of “recurrent savings” by 2016.